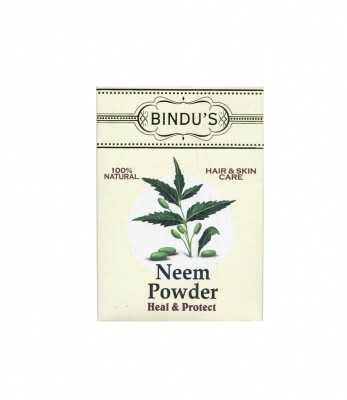 Mix water to Bindu's Neem powder. Apply the paste to the clean scalp and full hair length. Leave it for 30mins and then rinse well with water. The paste can also be applied to the face. Leave it for 10-15 mins and wash with water.